The snippet of the film by the award-winning director, released by Showtime on Thursday, shows Putin in the driving seat taking on the case of the former US National Security Agency (NSA) contractor and CIA employee, who leaked classified information on the extent of the NSA’s surveillance to journalists, and is now wanted on espionage charges in the US. “I think he [Snowden] shouldn’t have done it. If he didn’t like anything at his work, he should have simply resigned,” Putin said. The Russian leader said that while he cannot personally justify the whistleblower’s methods, he believes Snowden was within his rights to take the decision. “But since you are asking me whether it’s right or wrong, I think it’s wrong,” he said. Stone even drew parallels between Snowden’s experience and that of Putin, as the Russian leader quit the Soviet secret service KGB on August 20, 1991 because he did not agree with the coup d’état attempt staged by a handful of hardline Communist party leaders longing to topple Mikhail Gorbachev. “I resigned because I didn’t agree with the actions undertaken by the government,” Putin told Stone. — RT (@RT_com) 31 мая 2017 г. Asked about the record of Russian intelligence, Putin stressed that the Russian secret services perform their duties in strong compliance with the law. “I think they’re working quite well,” he said. Among the most scandalous facts ever uncovered in the aftermath of Snowden’s leaks was evidence of the US government’s eavesdropping on German Chancellor Angela Merkel and several members of her cabinet, whose phones were tapped by the NSA for several years. Criticizing the NSA’s methods, Putin argued that by spying on its close allies US only harms itself. Snowden was granted asylum in Russia after his US passport was revoked and he got stranded in the transit zone of Moscow’s Sheremetyevo Airport in June 2013 while on his way to Latin America, where he had been offered asylum by a number of countries. The whistleblower has since been living in Moscow. Earlier this year, his residence permit was extended until 2020. The upcoming documentary, titled “The Putin Interviews,” purports to present Putin’s views to the American public that they would not have the chance to hear otherwise, according to Stone. “Mr. Putin is one of the most important leaders in the world and in so far as the United States has declared him an enemy – a great enemy – I think it’s very important we hear what he has to say,” Stone said in a recent interview to the Sydney Morning Herald. The film is set to premiere on June 12. Last year, Stone released a biographical thriller about Snowden starring Joseph Gordon-Levitt. 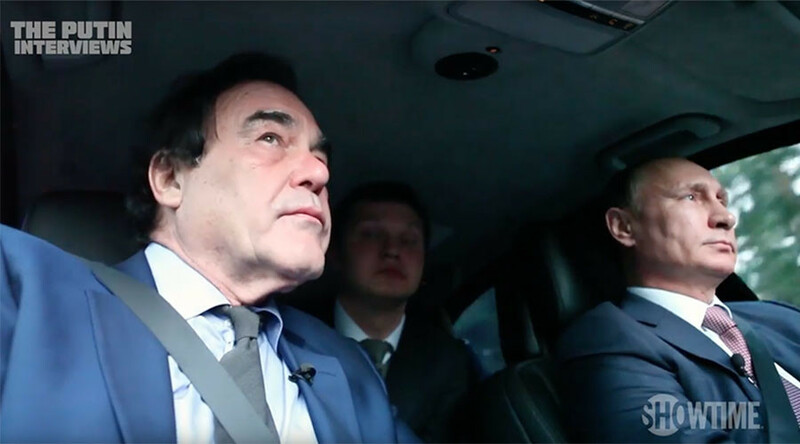 As he was working on the project, Stone with met with his film’s chief protagonist several times in Moscow in 2014.